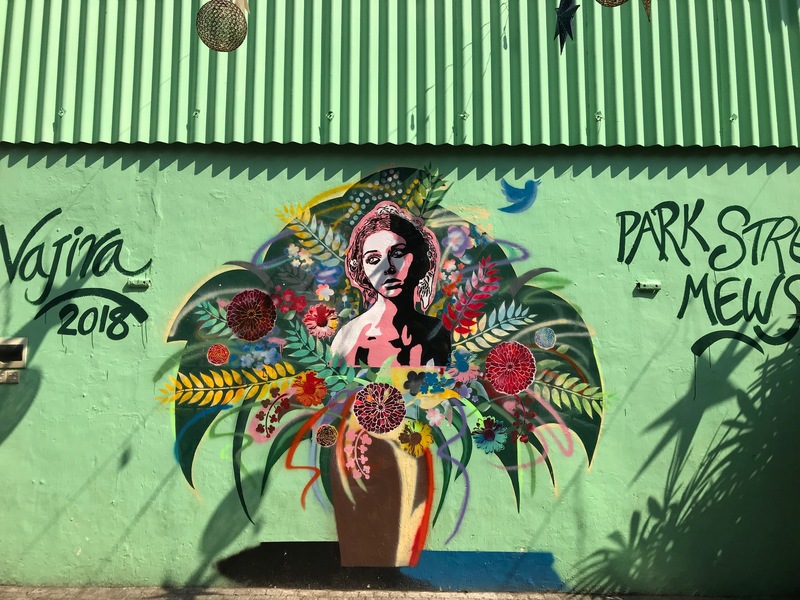 You might want to know where and what is Colombo. Colombo is t he capital of Sri Lanka, an island off the southern coast of India. Actually one of its suburbs is. 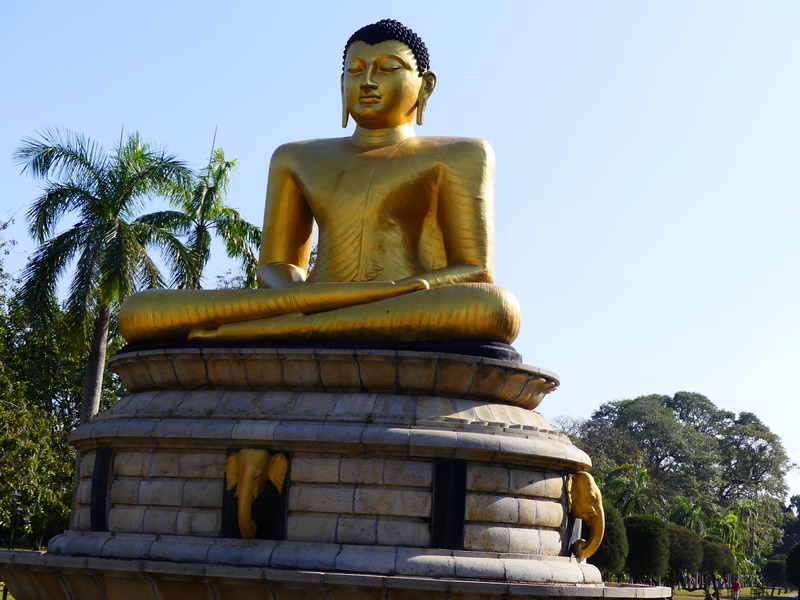 But Sri Jayawardenepura Kotte is too hard to remember so, well, Colombo. The island is shaped like jack fruit, which also happens to be hanging from trees all over Colombo. Sri Lanka used to be called Ceylon. It was occupied at various times by the Portuguese, the Dutch and the British, and finally got its independence in 1948. It feels and looks sort of like India but different. 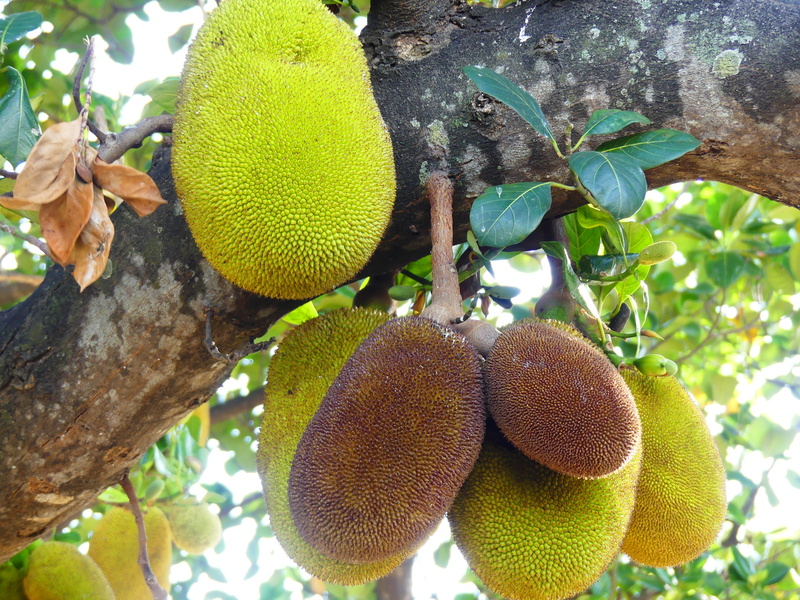 Jackfruit in a Colombo park. My time in Colombo so far has been a combination of peaceful days in a lovely small hotel and some misadventures that might be a skit on SNL’s new travel show — beginning with a tuk-tuk tour with Faisal on my first day. My tour with Faisal was mostly a bone-jarring, 3-hour ride through clouds of diesel fumes from buses honking at us for cutting them off. Other than that, Faisal stopped several times to have a cigarette and use his phone. At one of the stops, I got to go into a temple. At another, Faisal told me to wait while he ducked into a muffler shop with a cigarette, then returned with coconut water that gave me stomach “issues.” We also stopped at his friend’s shop so I could buy things I didn’t want. 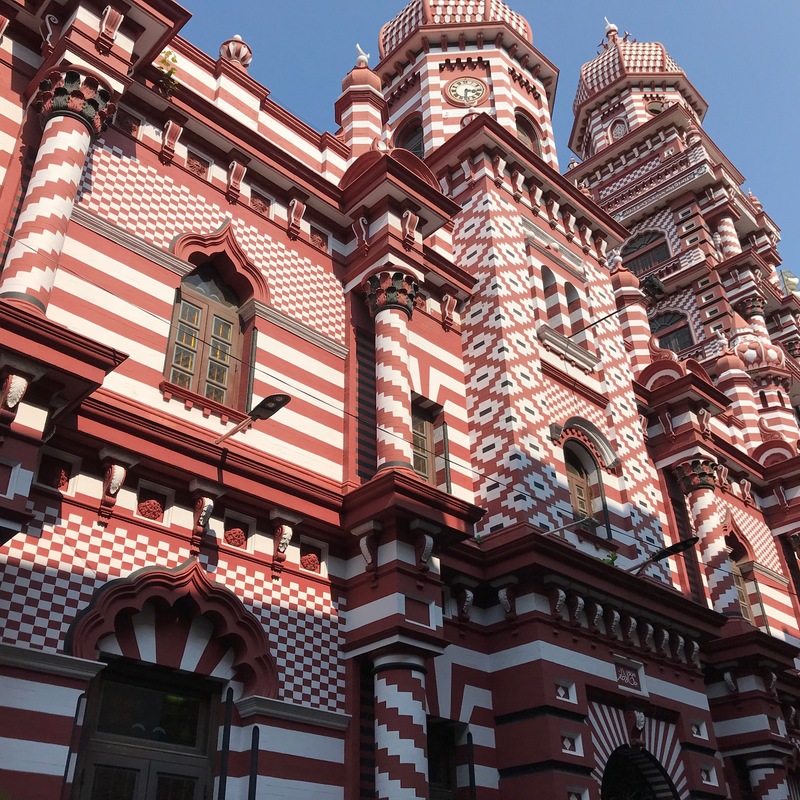 Faisal couldn’t provide any insights about the country’s history or politics but he mentioned that Colombo gets many tourists and added, “Notice how people are smiling at you. That is because you are our honored guest.” In fact, I had noticed that several men smiled at me but in a way that made me feel like an honored guest with cleavage and red stilettos. A couple of them made funny noises at me. I probably don’t need to mention that no one in 52 other countries has shown me that kind of attention in a long time. Actually never. My second day also involved a tuk-tuk ride, although not with Faisal. This time, I had done a little homework and I had my own list of places to go. First, I headed to the street food stalls along the waterfront but they weren’t open. So I went to a special cafe where five waiters ignored me for 20 minutes before I left. The mosque was closed for prayers. The national museum was closed for the monthly full moon holiday. Throughout, I was sweating like a pig even though no one else seems to be bothered by the sweltering heat. 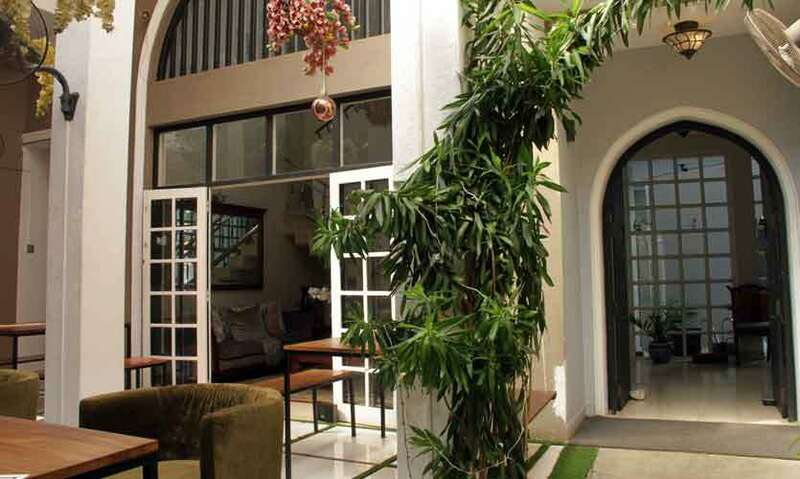 I do like my hotel so, if you visit Colombo, be sure to stay at Villa Raha! But it’s not about me and I didn’t expect Sri Lanka to be light and cheery. The people here have suffered a lot. It is poor to begin with and the great tsunami of 2004 killed 35,000 and left almost a million homeless. The country is still recovering from that and a 26-year long civil war, which cost tens of thousands of lives and left deep scars of distrust and sorrow. There are some signs of recovery. The city has a important port, a solid tourist infrastructure, an arts community, and a busy commercial center. 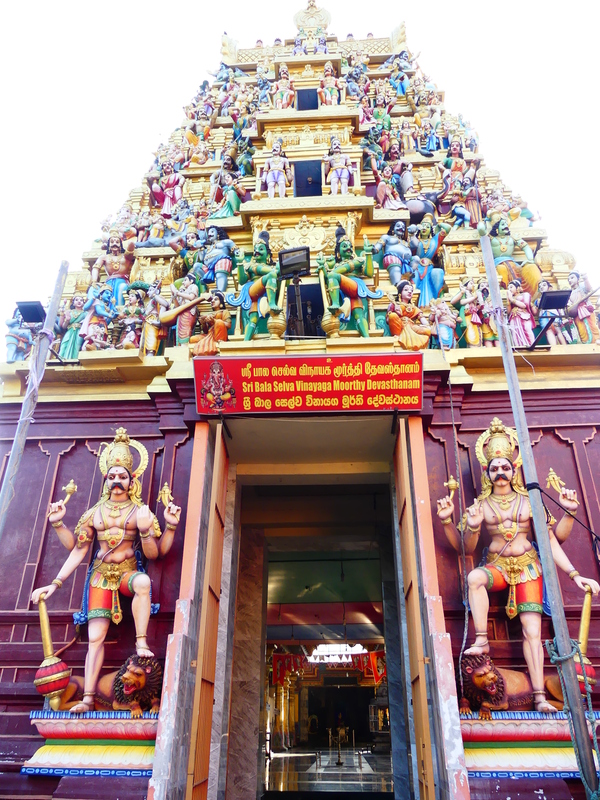 The armed military that patrolled the streets ten years ago is gone, and there have been some efforts toward reconciliation between the war’s two factions: the powerful (mostly Buddhist) Sinhalese and the minority (mostly Hindu) Tamil Tigers who sought independence. And Sri Lanka’s flag is hopeful. 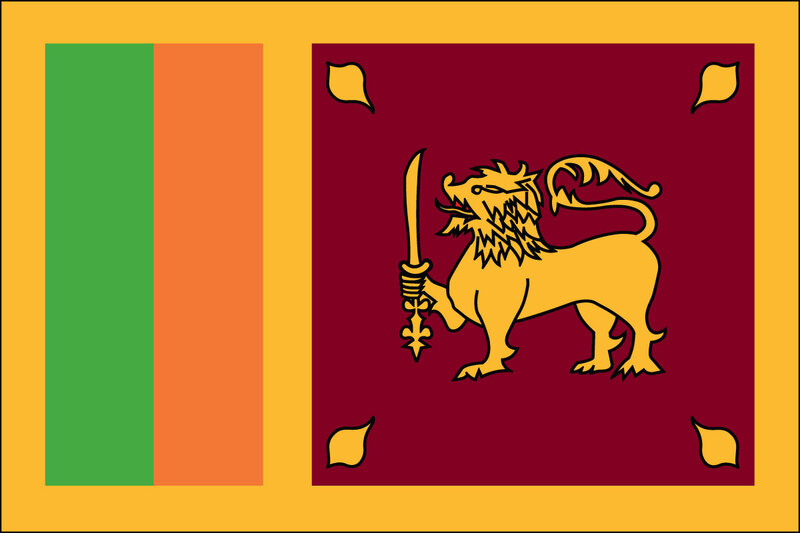 The colors represent the country’s four religions: Hindu, Muslim, Christian and Buddhist. Its four leaves represent compassion, kindness, equanimity and happiness. The flag is a reminder of what the world needs most right now. But no, SNL doesn’t have a new travel show. I just made that up. Ok, this is a funny post but not funny too. Yuck on the funny noises from the men, but appreciate your description of the country’s History and progress from their civil war and tsunami. Don’t think Sri Lanka will be in my list! As an aside, Cait and husband Chad are going to Vietnam in May. They will love Vietnam! Tell them to go to Mai Chau west of Hanoi! I always open your posts right away, and I’m never disappointed. You are perceptive el informed, morally righteous, full of compassion. Thank you for being our eyes and ears! I know for you to mention the yucky parts of your experience that they must have been very upsetting, but yet your solid inner core of compassionate understanding shines through all of your writings Kim. As usual, your pictures are marvelous! Nah, I wouldn’t call them upsetting. Just entertaining to write about! I had to chuckle and glad you’re able to maintain a sense of humor in such situations. It is our most important attribute, especially when traveling to new and ‘exotic’ destinations. Hope you’re doing the train trip to and from Kandy. 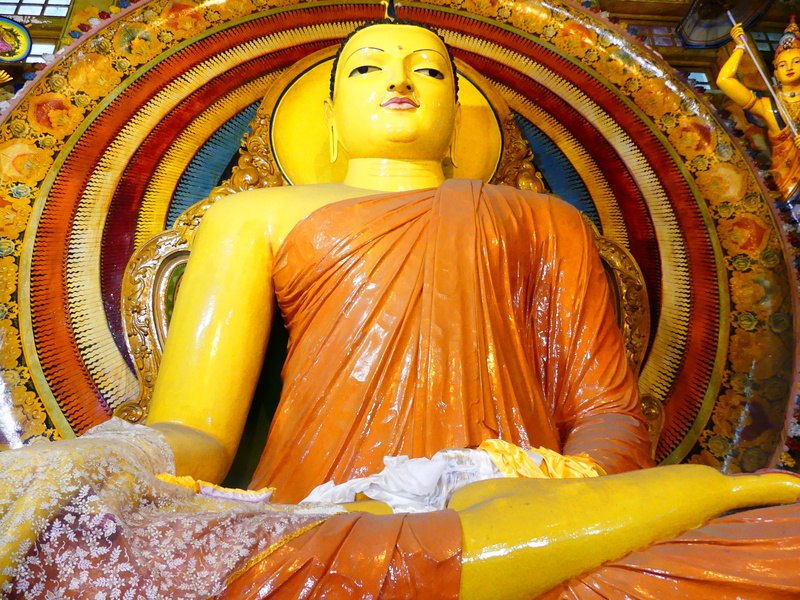 It was my favorite aspect of visiting Sri Lanka! Enjoy the sights! Yep Kandy on the train! Well if Parks and Rec could become a big hit! Thanks for update and history. Have you met anyone to connect with ? Hi Stan, not really….but I still have 13 days to go! 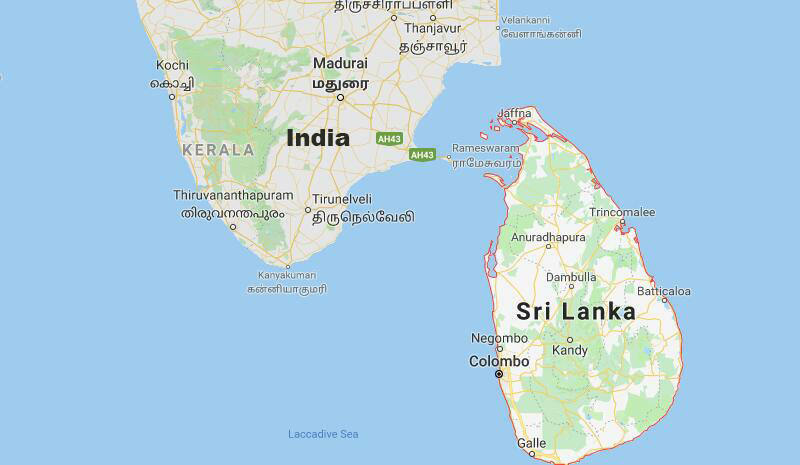 It sounds like Sri Lanka is still recovering from some real tragedies. I like your description of the flag, Kim. What does the lion with the sword represent? I also like seeing that you recommended Mai Chau to somebody. You suggested that to us the first time we went to Vietnam, and it was a highlight of that trip. Sri Lanka doesn’t have lions. Apparently, the country’s first king, who was Indian from India, designed the first flag and it featured a lion. That was in 486 BCE! Since then, the lion has represented hope and freedom to the people here. Your descriptions, feelings, opinions, history, photos let’ me to vicariously travel along with you . It’s a gift I greatly appreciate, Kim. And yes. Of course you should do an SNL skit. The chaos and color will be a guaranteed hit. Wish you were here, really! I wish I were there too. But if you keep doing what you’re doing I’ll feel less deprived…. maybe.